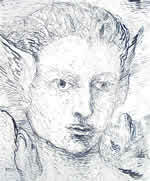 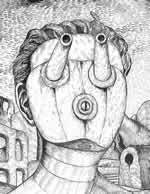 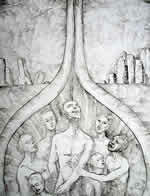 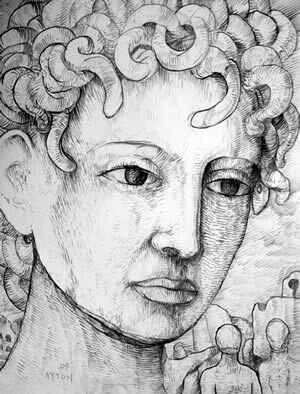 Above: "Medusa's Gaze", 2009, ink on paper, 23.5" x 18". 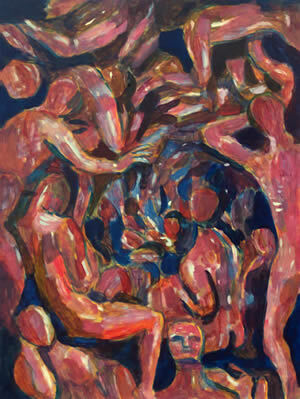 From the new "Entropy" series. 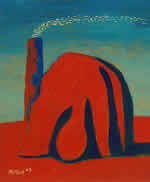 Above: "The Vortex", 2008-9, acrylic on board, 16" x 12", painted from the "Timeless Drawings" series. 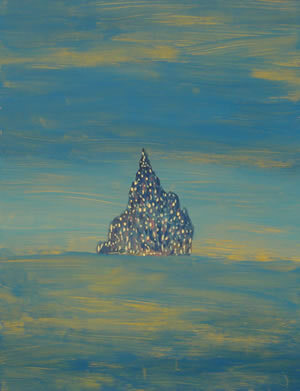 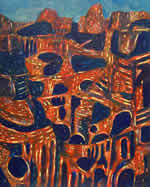 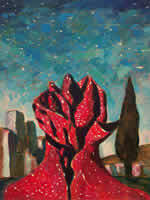 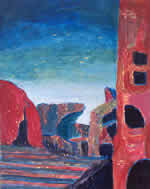 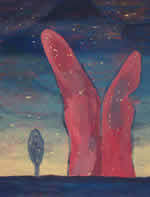 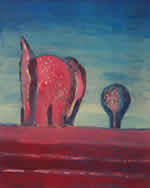 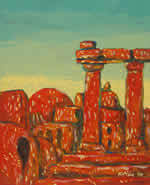 Above: "Citadel at Dusk", 2009, acrylic on board, 12" x 9". 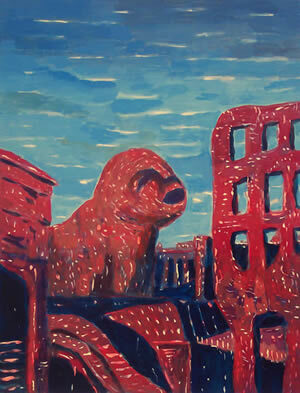 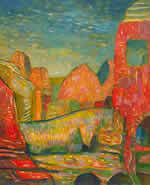 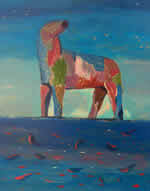 Above: "Ruined City with Sphinx", 2009, acrylic on board, 16" x 12". 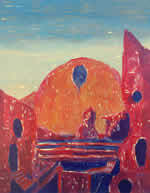 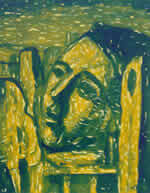 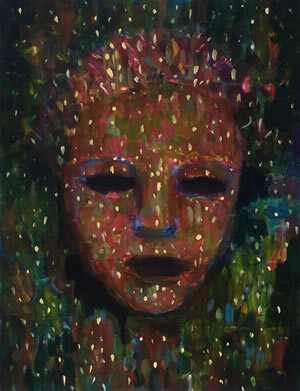 Above: "Sappho in the Stars", 2009, acrylic on board, 10" x 8". 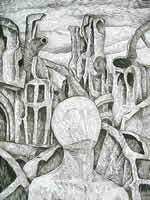 These are new paintings & drawings created by William T. Ayton in 2009, including an important new series of large drawings entitled the "Entropy Series", a series of small paintings called the "Ruined City Series", and other, related pieces. 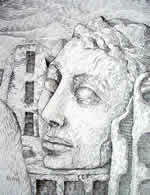 This page is a work-in-progress, and images will continually be added, updated, moved & removed throughout the year. 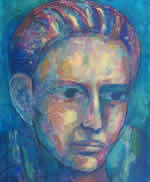 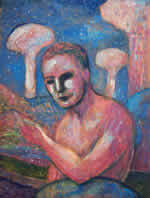 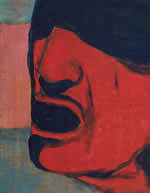 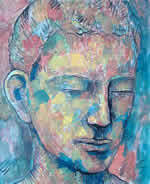 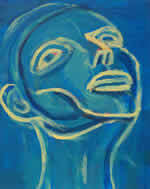 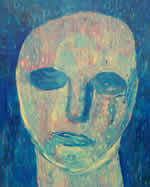 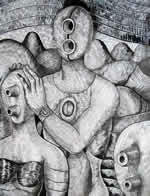 For more artworks, uploaded as they are made, please visit Ayton's Flickr photostream and also the Ayton Art Blog. 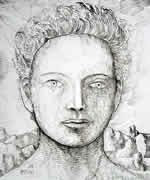 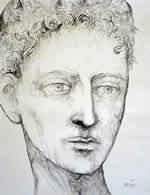 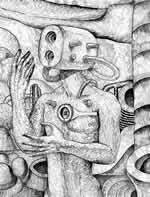 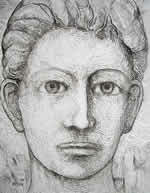 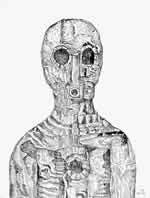 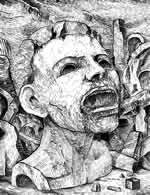 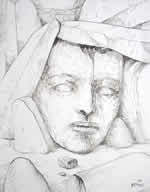 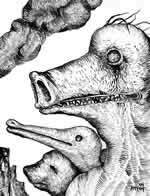 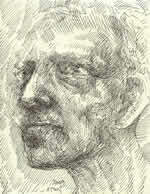 Also, there is a new gallery page for silverpoint drawings. 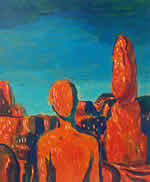 2009, 10" x 8 "
2009, 23.5 " x 18 "
2009, 14 " x 11"
2009, 7.5" x 10.5" approx.